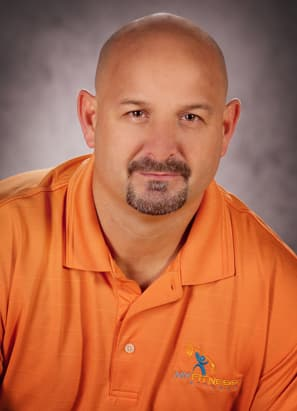 Mark Rullo, MS, MES is an Exercise Physiologist, Strength & Conditioning Specialist, Medical Exercise Specialist, Certified Golf Fitness Instructor and owner of the area’s only weight management lifestyle center - My Fitness Kitchen® www.myfitnesskitchen.com 724-879-8523. Mark has over 30 years in the health, fitness & wellness industry. This experience includes general manager of a start-up multi-million dollar hospital-based medical fitness center, Northeast Regional Sales Manager for one the leading fitness equipment vendors and industry consultant including clients such as the White House and Don Shula’s to name a few. Additionally, Mark participates on the advisory board for many of the local university kinesiology departments and is a primary resource site for practical internships. Mark has numerous published industry articles and is a regular called upon expert for the industry. Mark and his team at My Fitness Kitchen® specialize in weight loss and body transformation. Leveraging technology and service to increase awareness and accountability toward a livable lifestyle, countless of individuals have met and exceeded their goals through My Fitness Kitchen’s evidence-based scientific programming.